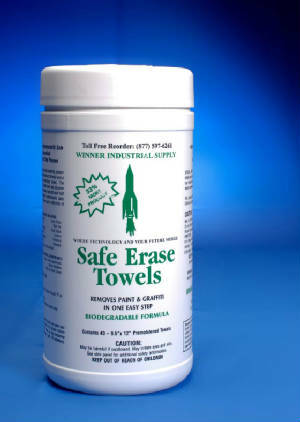 GREAT FOR SIGNAL , ALUMINUM HOUSES AND OTHER EQUIPMENT!! 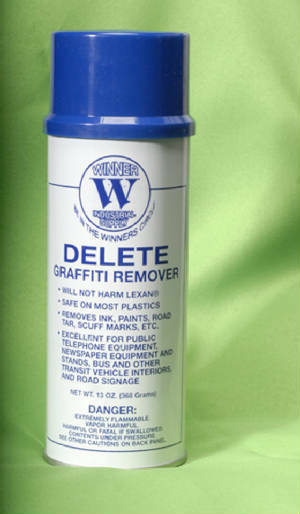 ORDER 5 BOXES OF DELETE AND RECEIVE 1 BOX FREE OF CHARGE!!! Thats right this is our Back To School Cleaning Sale! 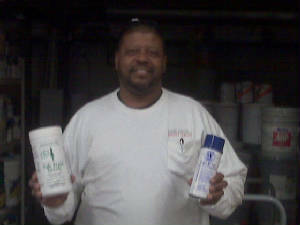 Order this month and you receive another box FREE!!!! 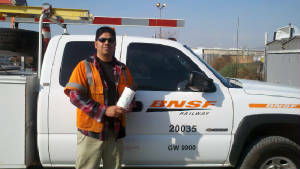 This city traffic and sign supervisor's crew said they loved our Delete heavy duty graffiti remover because of its 99 % effectiveness rate but said that in those other 1% occasions they used our more aggressive product Quik -Strip gelled paint stripper! 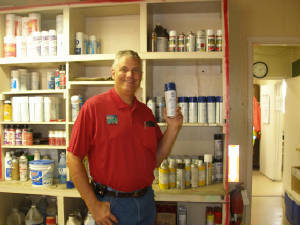 This paint shop supervisor from a large Nevada unified school district commented that he like the gel characteristic of DELETE because it stays where he sprays it and doesn't run and drip like products he has used in the past. 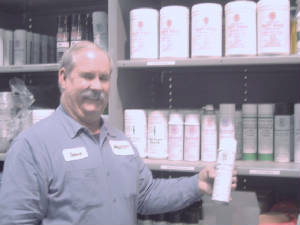 THIS WAREHOUSE SUPERVISOR FROM A LARGE WATER COMPANY AS YOU SEE IN THE PHOTO SURROUNDED BY WINNER PRODUCTS SAYS" I CHOSE THE ONE SHOT WASP AND HORNET SPRAY TO ATTEST TO BECAUSE OUR COMPANY HAS TAKEN A FIRM STAND ON SAFETY FOR OUR EMPLOYEES AND WE BELEIVE THAT YOUR ONESHOT WASP AND HORNET SPRAY STANDS OUT AS A SAFE AND EFFECTIVE PRODUCT!" 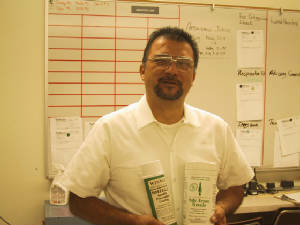 Bernard Faunterleroy Environmental Services Supervisor from Veterans Hospital of Loma Linda stated that Safe hands Sanitizing Towels And Medical Professional Disinfectant towels are both effective and convenient in an environment where germ abatement is a must for client and personnel safety!